You are here: Home / Blog / Should I Learn Cisco UCS or OpenStack ? Should I Learn Cisco UCS or OpenStack ? Question : I’m looking to either sit a Cisco UCS course or an Openstack course; I don’t deal with any of these technologies today however looking to start consulting on these two. Is Cisco UCS still relevant in today’s enterprises? If so, I’ll take up a UCS course before moving onto an Openstack course. Is Cisco UCS still relevant in today’s enterprises? If so, I’ll take up a UCS course before moving onto an Openstack course. If you could shed some light, that would be fab. Thanks Greg. 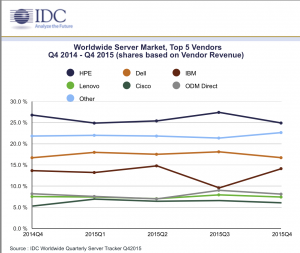 Cisco UCS business is small but fast growing piece of x86 servers market with roughly 5% overall market share. In the Enterprise, this penetration is much higher as customers are willing to pay a premium for blade servers and other value added features of UCS products, some reports suggest as much 40% of blade server sales are Cisco UCS. Learning about x86 servers is a excellent career progression. I believe that there will be rapid adoption of virtual network appliances on hypervisors and cloud platforms where knowledge of CPUs, memory and disk drives will be a core competency. If you don’t know it today, you will need it soon. Thoughts on the negative side. it is expensive to get Cisco training and hard to get access to hands on practice needed. The total number of companies using Cisco UCS servers is still small today and this might limit your future employment choices if you were to choose HPE servers etc. Also, skills in configuring an x86 servers doesn’t seem to have good long term career value as we see many companies migrating to the public cloud. For these reasons, Cisco UCS skills would be an excellent choice for a short term career plan. Those skills can be used immediately by an employer and its clear that you have some precise skills that you can sell for a salary. In my view, OpenStack will be the dominant cloud platform for private cloud infrastructure in the next five to ten years. Today ? Not so much. As a career choice, its a longer term decision. There are a limited number of Enterprises running OpenStack today. Its complex, confusing, changing and looks a lot like Linux did in circa 2003/2004, that is, it needs a few more years to mature, simplify and for spread of skills. This means there are limited places where you can get a position but you have much less competition for roles that exist and likely to earn over the average. 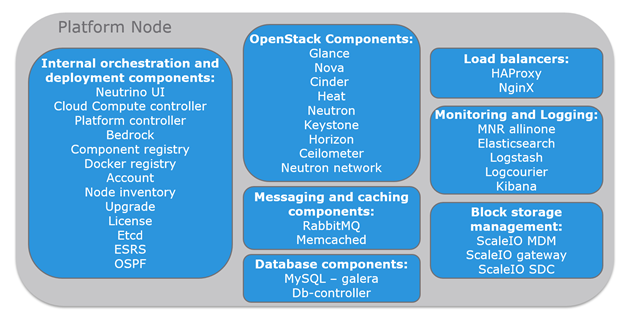 OpenStack has many components (see below) and you will need a lot of time to master all of them. You should consider starting in a specific area. While most Enterprises are using VMware vCenter/ESX for virtualization, my view is that orchestration and automation will be done using OpenStack because enterprises need multi-vendor support that VMware doesn’t provide. My perspective is that OpenStack is a better long term career choice but the payoff is harder to understand because OpenStack is changing and customers are few. Cisco UCS training is likley a strong short term prospect that won’t do you any harm as you will need to understand x86 servers for long term career progression. For anyone interested in learning Cisco’s UCS, I’d recommend having a play with the emulator. It’s worth noting that learning UCS can include much more than just the compute layer. Understanding the fabric that enables UCS’s special sauce is pretty enlightening and a good way to bust out of the sever admin silo. I didn’t know how interesting the network side of the picture could be until I started learning how the Fabric Interconnects did their thing. I would go the UCS route although this would also imply investing in Vmware training. Openstack will be taken over by the Vendors each one selling his its own brand flavor and with their consultants. is there a Component classification on what we need to learn for X86 servers also please..? like the one listed above for Openstack. 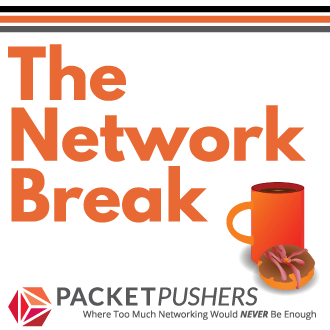 I agree with your conclusion that Openstack aren’t widely adopted today and as such is a long term play – there are plenty of open position for Opensrack related skills out there already. Customers need a simpler way to get started in order increase adoption as well as much easier ways to manage Openstack and its required infrastructure components. Think Switching, servers, OS, storage and more. Your architecture slide for Openstack do not show Openstack itself but the (I’m an SE that cover EMCs Neutrino platform for all of EMEA – official name VxRack System 1000 with Neutrino nodes) management, provisioning and operations stack of our Turnkey Hyperconverged multi-service on prem cloud platform from EMC. The current strong trend for outsourcing OpenStack support is temporary. Like the early days of Linux it will take some time for skills to grow, cognitive ease and acceptance to reach widespread adoption. This is a repeat of the trends we saw what server disaggregation happened in the mid-1990’s and customers turned to resellers for support (for the first time). Today, doing your own servers is the normal. Same for storage and networks. Nothing new here, business as usual. planning on learning Openstack soon but am well conversant with UCS and can confirm that you would find it really cool and interesting. Even without training, having a couple of the blade servers and FIs to run the UCSM and playing around would help knowledge-base greatly, if not messing with the UCSM emulator is also pretty cool, i think first commentator shared the link. 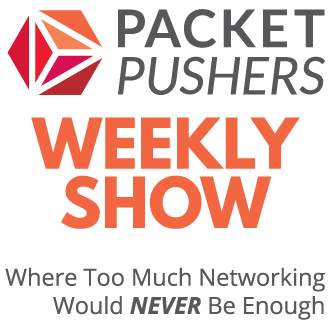 Knowledge of UCS really does help zig-zag the space between network – server tech base. I’ve done some UCS work and overall sense is that its too complex, too fancy and expensive for the returned value. Some people will love it and find value but mostly, its easier and better to use 1RU servers. Using an FI when its a switch with proprietary features is not for everyone. If you really want a fancy NIC then look at Mellanox/Netronome and get a serious solution.